Many of the nation’s business schools have incubators – centers where students can get help in building their own companies, but Virginia Commonwealth University figures anyone can be an entrepreneur, and its center is open to artists and engineers, English majors and college athletes -- anyone with a good idea. Sandy Hausman reports on some surprising enterprises. 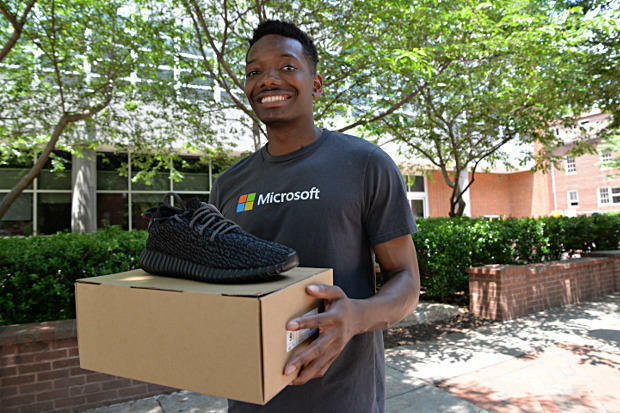 Desmund Delaney shows a pair of limited edition sneakers sold by his online company, 8:00 AM. These new and pre-owned shoes can sell for hundreds of dollars. It’s Thursday night, and for young entrepreneurs at VCU that means three hours at Founder’s Corner – a brightly colored studio in the student center where faculty members and executives like Nicole Monk coach those who want to launch their own business. Some of the ideas are offbeat, but Monk never says no. Instead, she teaches them to think like an entrepreneur. Sometimes students like Desmund Delaney discover their ideas won’t fly. He wanted to sell the components of quilts – allowing people to quickly assemble a handmade gift, but Monk says he couldn’t get that company off the ground. But the program had taught him not to give up – to learn from failure, so he launched a second business buying and selling limited edition athletic shoes, often linked to celebrities and high prices. “Five hundred to $1,000 – young people will pay for it in a heartbeat, and they wait in lines for hours,” says Program Manager Dominic Costanzao. He claims more than half of students at VCU are interested in starting their own companies. And shows like Shark Tank and the Apprentice have encouraged a generation. 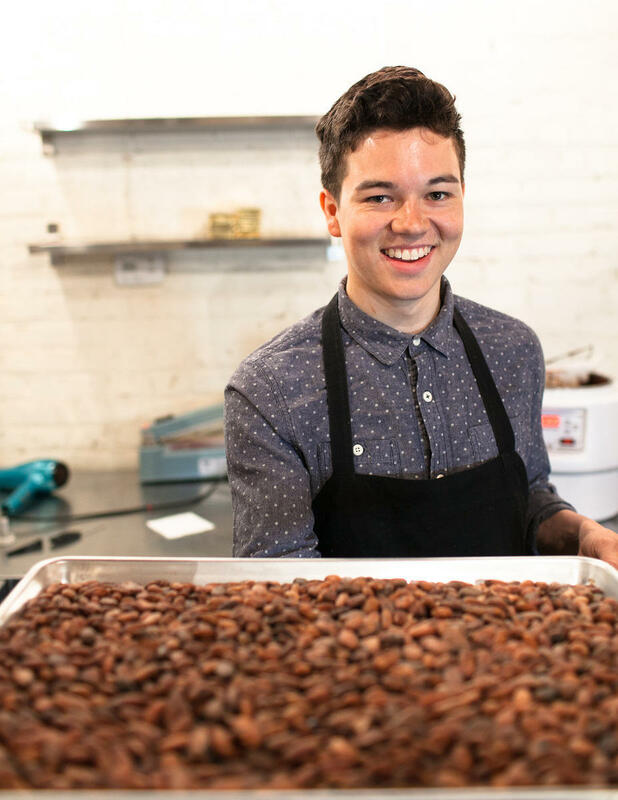 VCU student Alexander Burlingame shows artisan sweets produced by his new company, Upchurch Chocolates. Students have launched an urban mushroom farm, a chocolate factory, a firm that makes maternity clothes from fabric that blocks electromagnetic radiation and a company that helps suffers hang ten. “They strive to be the Car Max, essentially, of used surfboard,” Costanzo explains. The program is competitive, admitting just 16 students in its first year, and providing them with $5,000 each in seed money. So far, they have generated over a million dollars in revenue, grants and investments.